aphasia – problems with language. This may be simple problems with “finding words” to more complex problems of not being able to understand written words. apraxia – problems with carrying out purposeful movement. This may be problems with copying an action like brushing one’s teeth or waving goodbye. agnosia – problems with identifying objects. This may be problems with being given a tooth brush and not knowing what to do with it. 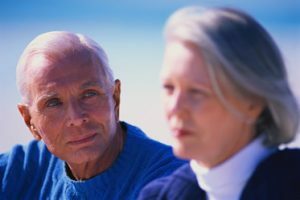 Evaluation for dementia can begin with a simple memory screen called the Mini Mental Status Exam (MMSE); but, a complete diagnostic evaluation is needed to identify the cause of dementia. Treatment should begin as soon as possible to slow down the loss of functioning. Also, there may be groundbreaking clinical research trials available that may actually stop the brain cell death that happens in Alzheimer’s Disease.